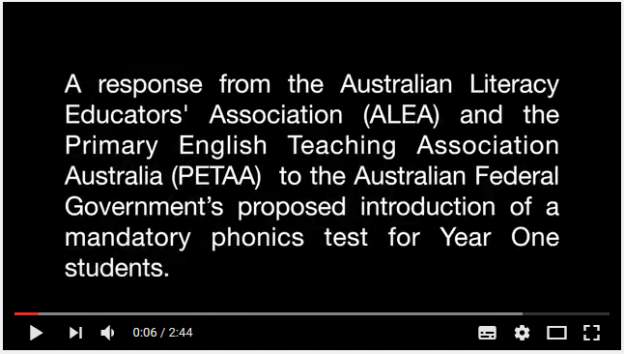 The Australian Literacy Educators Association (ALEA) and the Primary English Teaching Association Australia (PETAA) have just released an “infomercial” about the proposed Year 1 Phonics test. They oppose it, but watching their infomercial left me with more questions than answers. What’s the point of the Year 1 Phonics test? Given the way NAPLAN data have been used to encourage schools to compete not collaborate, and teachers’ often crazy workloads, I completely understand that many teachers are wary of yet another mandatory test. However, the point of the Year 1 Phonics test is to help teachers better identify which children are struggling to read words, in order to provide early, well-targeted intervention. 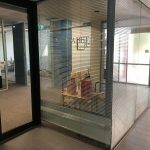 NAPLAN only starts in Year 3, so can’t do this. 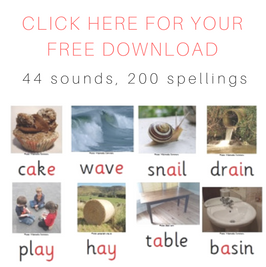 Nonsense words are included on the phonics test because they clearly show which children can crack words open by matching sounds to letters/spellings and then blending, and which can’t. Not having ever seen the words before, kids can only tackle them by sounding out. Early years teachers can try such a test for themselves by downloading the 2016 UK version, available free online. Many Aussie teachers already are, apparently. This test is quick, objective, and based on a model of reading (the Simple View) which stands up to scientific scrutiny, unlike the widely-used but slow and subjective Running Record, which is based on a model of reading so far from reality that nobody has ever come forward to admit they made it up (Multicueing or the Three-Cueing model). What does the ALEA PETAA infomercial say about the Year 1 Phonics test? What is a stand-alone model of phonics, and who advocates it? Nobody I know proposes that teachers only teach phonemic awareness and phonics in the early years, and not teach vocabulary, comprehension and fluency (whether fluency strategies focus on orthographic mapping or not). All are important for reading success. Find me a single expert who says otherwise, and I’ll eat my whiteboard eraser. How would the phonics test make teachers teach nonsense words? 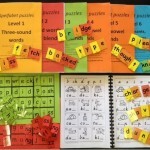 I use them for assessment, as do Psychologists (but they call them the terrifically sciency-sounding “pseudowords”), but only a few phonics programs use them in teaching, and only in a small number of activities. If teachers don’t want to use those activities, they don’t have to. Does ALEA/PETAA consider nonsense words unsuitable for children? Does this mean they want to stop children reading The Lorax, Jabberwocky, Harry Potter and The Hobbit? Would they like to ban reading and writing about Pokemon and Star Wars? Next in the video is the statement “Reading is a complex process of making meaning with text. As readers engage with text, they use the cueing system”. “The cueing system” seems to refer to the approach promoted by Marie Clay, who wrote in 1998 that beginning readers should be encouraged to use “their knowledge of how the world works; the possible meanings of the text; the sentence structure; the importance of the order of ideas; the size of words or letters; special features of sound, shape, and layout; an special knowledge from past literary experiences before they resort to left to right sounding out of chunks or letter clusters, or in the last resort, single letters”. 3. Why is ALEA/PETAA still talking about reading as though it is a “psycholinguistic guessing game”, long after this 1980s idea from father of Whole Language Kenneth Goodman has been comprehensively debunked by reading scientists? We now know reading is simply not a psycholinguistic guessing game. For starters, children do not, and cannot, read words using context cues. The brain’s context processor has almost no role in word identification. Context comes into play in reading comprehension after a word is identified. Reading in the Brain by Stanislas Dehaene. He is also on video here and here. Language at the Speed of Sight: How we read, why so many can’t, and what can be done about it by Mark Seidenberg. Proust and the Squid by Maryanne Wolf. Essentials of Assessing, Preventing and Overcoming Reading Difficulties by David A Kilpatrick. There is also a video of him here. Speech to Print and many other publications by Louisa Moats, who also gives great talks here and here. 5. Are the “wide range of teaching strategies” all based on good evidence? The more I think about the term “Balanced Literacy”, the more I think it means “We like to mix strategies that are backed by sound evidence, and strategies that are not”. 6. Does “individual needs of learners” mean the same thing as “learning styles?” There is no evidence that learning styles actually exist. 7. 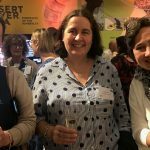 What exactly is “a meaningful literacy event”? I’ve googled it and searched glossaries and indexes, and am none the wiser. The ALEA/PETAA Presidents’ 2016 statement on phonics also talks about “a genuine literacy event”, but again this is not operationally defined. I think it means pointing out letter-sound correspondences during an activity that’s really about something else, e.g. wombats, pirates, or (as in the video) blocks. No, that wasn’t a typo. The children taught explicit phonics went on to be better at comprehension, AKA “making meaning”, which is (kind of hilariously) what ALEA/PETAA says is the most important thing about reading. Well yes, if you can get words on and off the page. So far this week I’ve worked with 36 children and one adult whose schools haven’t taught them to do this very well. Nobody disagrees with the first sentence, though reading researchers would be more forceful, for instance Snowling, Hulme, Snow and Juell wrote: “Explicit teaching of alphabetic decoding skills is helpful for all children, harmful for none, and crucial for some”. “Crucial”, not just “important”. If it does not occur, some kids will always struggle with decoding and thus also comprehension, vocabulary and fluency. 8. Which children are you talking about? Novice readers need to use most of their cognitive horsepower just to get words off the page, but expert readers can instantly recognise thousands of words, so have plenty of attentional resources to focus on things like genre, inference, author perspective, linguistic diversity and narrative structure. If we conflated novice and expert performance in sport like we do in education (e.g. the Australian Curriculum expects five-year-olds to study genre, inference etc), would we then all stand around scratching our heads about our declining performance in international competition, and saying the only problem was not enough funding? (though of course I give a Gonski). More video: “Effective readers use knowledge of text structure and knowledge of grammar and at the same time they activate their knowledge of the topic”. Well, yes, but we don’t observe effective basketballers and draw the conclusion that children who can barely throw and catch should be encouraged to dribble the ball between their legs and slam dunk. We teach them all to throw and catch first. 9. 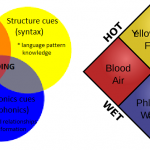 If I were to observe a teacher “skilling and drilling young children in synthetic phonics”, what would I see? Would the children all look sad? Would they march up and down? Would the teacher be shouting? 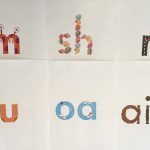 It’s possible to watch children doing explicit, systematic phonics activities on the internet (in videos like the ones here, here, here and here) but I can’t spot anything that stands out as evidence of skilling and drilling. They look a lot like normal classrooms, and the children look reasonably happy and interested. Perhaps someone from ALEA/PETAA can provide a helpful list of what it is I’m missing. 10. What measures of meaningfulness and motivation were used, and in what peer-reviewed journal can I read the research showing synthetic phonics is meaningless and demotivating to children? I think I just want to repeat questions 5 and 6 here. The video ends with a typed onscreen blurb reiterating support for embedded phonics, saying phonics assessment should be built into ordinary teaching (though most teachers aren’t taught about phonics at university, and don’t have or know about the relevant tests) and saying “the proposed Year 1 Phonics test doesn’t reflect current evidence-based research” (begging the question “what is non-evidence-based research?” I know, I shouldn’t be flippant). I fully understand indignation about politicians imposing stuff on teachers, but the public pays for our education system, and in the context of a real and measurable decline in children’s literacy skills, some accountability is necessary. I remain hopeful that most early years teachers will smile politely at this infomercial, inform themselves about the teaching approaches most strongly supported by scientific evidence, and boost their students’ and their own success by implementing these in classrooms. This entry was posted in curricula, phonics activities, research, teaching strategies on May 11, 2017 by alison. This should be compulsory reading for us all. Thank you for such a succinct informative response. Some days it’s hard to believe that things will improve. Alea have really got it nailed! I’ve been using lots of context clues in my attempts to decipher the language here in France as well as prior knowledge and I know quite a few high frequency words now-nous allons, oui, merci beaucoup…Of course I’m not too good at actually hearing/reading the important words themselves – I can only use the first sound and think what word it could be -but making meaning is the thing.. The other day we went on a tour of some caves. It was all in French but using the cueing systems I was able to construct my own meaning.. I think part of the story was about Ricardo Montalban and how he once visited the caves in order to join the priesthood but his Nanny came along with some salmon to talk him out of it and he decided to go home and live on the pension…Now that’s a meaningful literacy event. Thanks Alison for such a well presented rebuttal to the (unfortunately) pervasive nonsense portrayed in that video. And also thanks to Berys, I had a good chuckle. You’re welcome, thanks for the lovely feedback. I guess it’s going to make some generally well-intentioned people angry with me but seeing children wasting precious learning time and being misled by harmful methods just drives me nuts. Thankfully we all have Berys to help us see the funny side. Hi Alison, thanks for your views, clearly stated as always which I enjoy. I think the point of reading is to make meaning, so ALEA is right there, but it’s the code breaking piece, aka Phonics, which is the enabler. So it needs to be in the spotlight in all schools! 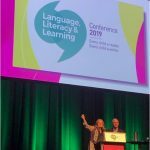 BTW “meaningful literacy event” – seriously?? PC gone overboard. Thank you for your response. I appreciate your expertise and the provision of such great research and examples.